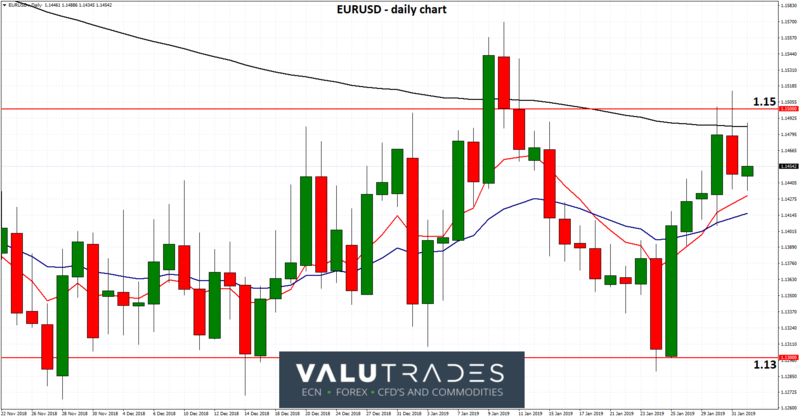 We also covered XAUUSD which has continued from strength to strength. 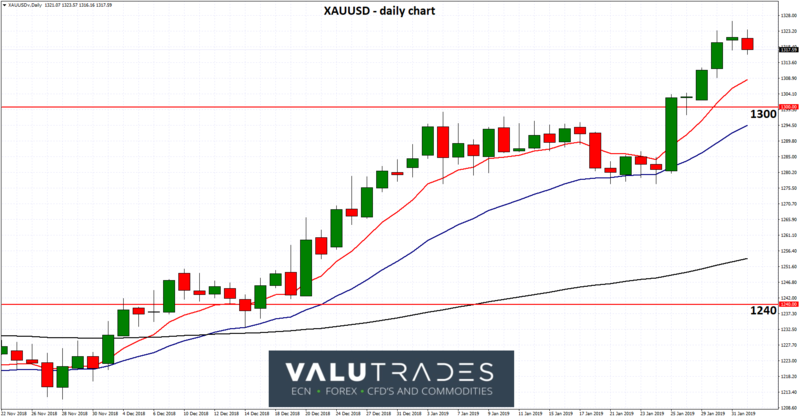 The current key level is $1300 and a week ago, gold was able to break through the resistance at that level, allowing it to reach an eight month high just above this key level. For several weeks, gold met stiff resistance at the current key level of $1300, after enjoying a healthy surge higher throughout December. The $1300 level is now likely to offer support should gold decline a little and look to ease lower. The move higher in December saw gold move to a then six month high just shy of $1300 after enjoying some solid support from the key $1240 level and the $1200 level before that. For a couple of weeks before the push higher gold consolidated a little resting on support at $1240 after making a strong rally back towards this level, which had become significant when it offered reasonable resistance halting its climb a couple of months ago. 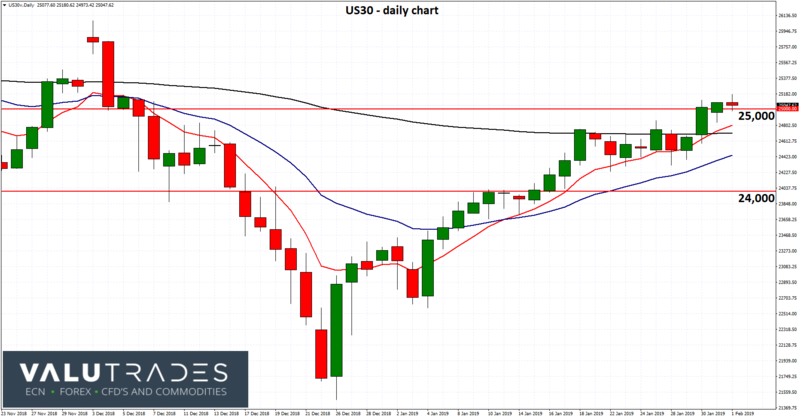 The current key level for the US30 index is the 25,000 level which has played a role in the last few weeks, where the index has been consolidating for a week or so between it and the other key level of 24,000. In the last month or so, the index has done very well to move back within this range after falling to its lowest levels in 18 months below 21,500. It met some resistance at 24,000 before moving through. Both the 24,000 and 25,000 levels have played a significant role with the index in the last few months and both remain significant, although the index is yet to convincingly break through the resistance at the 25,000 level as yet. The current key level for the GBPUSD is 1.32 which has repelled the sterling in the last week, despite its strong rise recently. 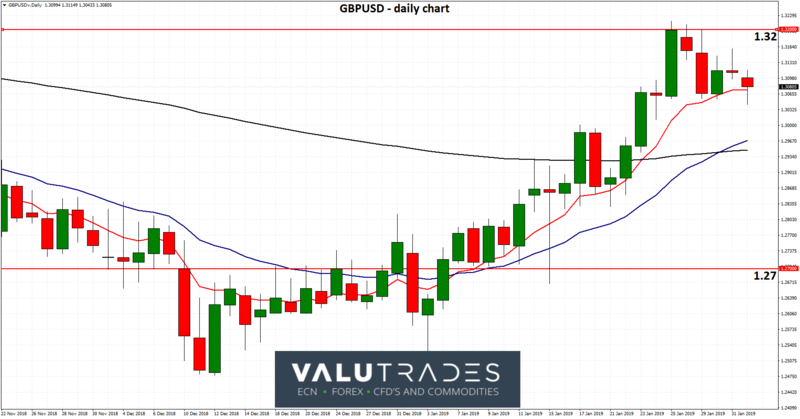 The GBPUSD has enjoyed a very positive January as it has moved from below 1.27 up to a three-month high at the resistance level around 1.32. Starting in mid-December, the GBPUSD has slowly but steadily climbed higher from a two year low below 1.25 up to a previous current key level of 1.27 and beyond. As expected, it met some resistance from the 1.27 level a month ago as multiple attempts to push higher were thwarted and now that it has cleared, you could expect the pound to receive some support from this level should it be called upon.